Each year trends in hair stylisation keep on surprise us. In spite of being variable, we just love going back to them. Therefore, we should recall some of the most popular hair styles in passing year. Perhaps these will remain the top trend in years to come. Allow us to introduce the most popular hair style of last months. Are you the one to wear it as well? How can you know, which hair style is the top trend? You can take a look at the fashion shows, workplace of the famous hair stylists or peak at the hairdressing magazines. You can also see what hair style was the most commonly searched on the Internet. The most popular search clearly indicates what was taking over the streets and homes of women around the World. From the data provided by the most popular search engine, it appears that last year reigned one hairstyle. When it comes to the popularity it has beaten all the other propositions immeasurably. This is the one you searched the most information about and on which the Internet was flooded with thousands of articles about. It may seem like the ‘it’ hair style of past months (or even years) is loose bun at the top of the head. This is the one you most frequently meet in the streets. In spite of this, the most information was searched on “fishtail”, i.e. plait in unusual edition. The most common question among the researched information involved the technique for performing “fishtail”. For many people “fishtail” is known and liked type of braid. However, this popular hair style of past year has small differences from the standard braid. In this version the braid falls loosely on the neck, which is performed like standard fishtail. There are many versions – you can start really high like in French braid, on the side or just start at neck height. It is important to make this braid to the very end. The remaining hair should be minimal, because this hair style is about smooth end. 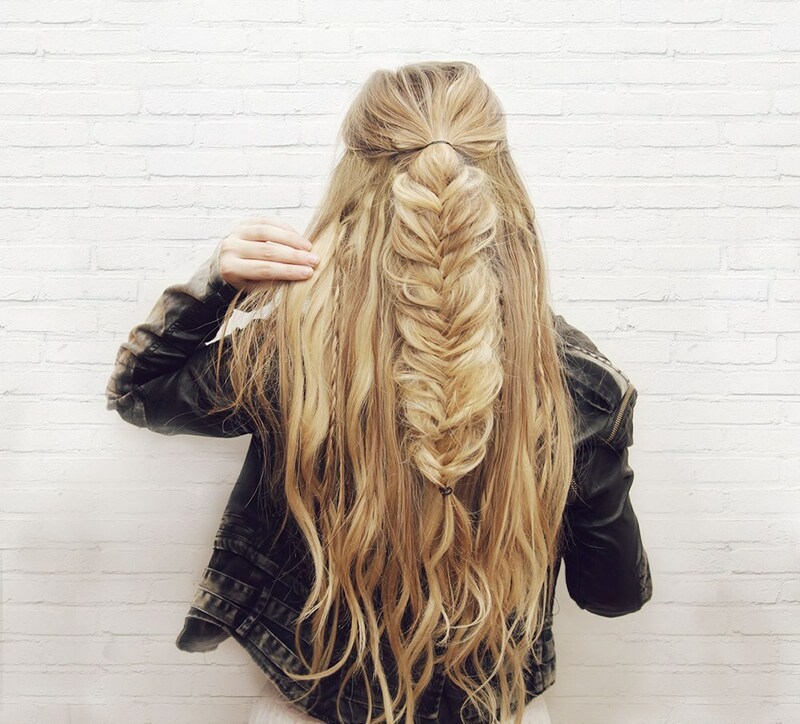 What makes different from standard fishtail? It has to truly remind of fish tail, so you need to loose it a bit to add some volume right above the neck. Braid needs to visibly narrow towards the bottom. Sadly, fishtail is a hairstyle for owners of really long hair, which are much easier to work with when its comes to braid. Hair shouldn’t be layered so that it wouldn’t come off the tie. Fishtail was particularly loved by the blondes, because on light hair highlights look best.